This one pick Friday is an Etsy find. 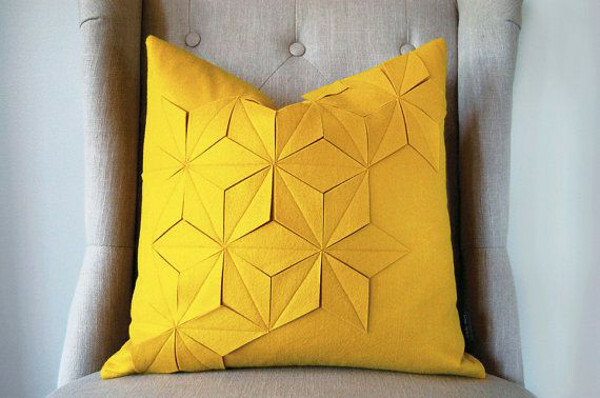 A yellow felt geometric pillow by Whitenest. Gorgeous and elegant in it's simplicity.